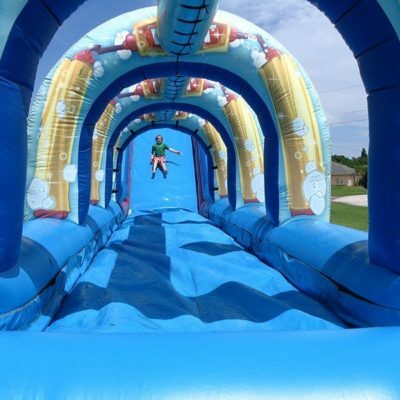 Monga HUGE 65 foot long water slide with a slip and slide attachment. 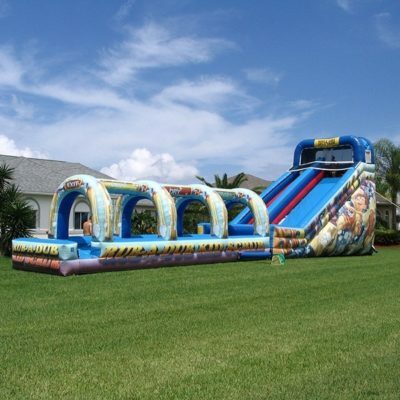 A great inflatable water game that is perfect for a backyard birthday party. 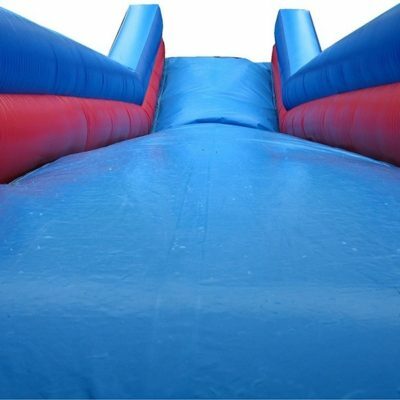 Pair it with a large bounce house for even more fun. Perfect for boys or girls. WET USE ONLY.